AAS sound designer newcomer Emeric Zubar a.k.a. 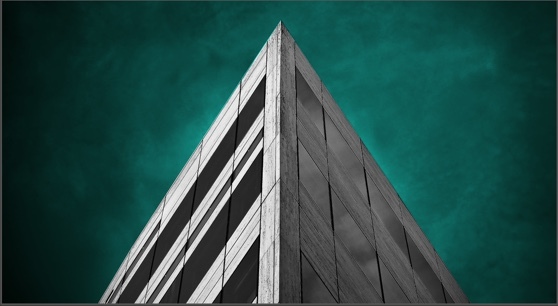 BLAKE presents Turmoil District—a collection of 101 presets exhibiting the emotional and ominous side of Chromaphone 2. Turmoil District gets you everything you need to explore the dark and sad atmosphere of Trap, Cloud Trap, RnB, Hip Hop, and even ambient music. While being sonically rich-sounding, this sound pack highlights the dreamy and haunting vibe needed for those genres. With its vast selection of kicks, snares, basses, hi-hats, pads, and keys, Turmoil District's presets are specifically designed to create vibrant beats and take your music to its climax. Paris-based French producer and sound designer Emeric Zubar a.k.a. BLAKE creates sounds and/or music for Native Instruments, Arturia, Loopmasters, Niche Audio, AAS, IZO, and Redbull, just to name a few. His infinite interest in sound design, synthesis, and new technologies led him to create his own sound design company—DRIVENSOUNDS. Read our interview with Emeric Zubar. For more information visit www.drivensounds.com. Turmoil District was created with the Chromaphone 2 acoustic object synthesizer. 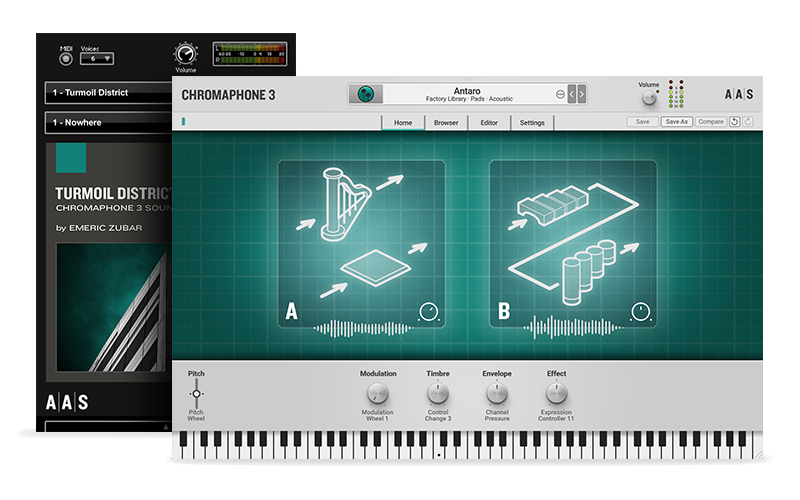 You can obviously play and edit the sounds in Chromaphone 2, but you can also access and play them via the free AAS Player included with your Turmoil District purchase.